Shadowspawn slaughtered Jarrett’s family, leaving him and his brother orphans. 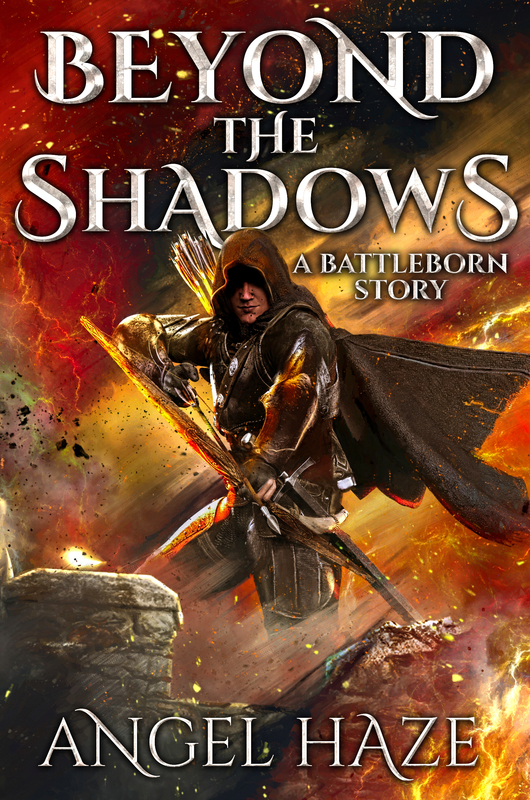 Determined to have his vengeance, Jarrett and his comrades guard the Black Wall, the only thing standing between Arcanthia and the seemingly endless waves of monsters hell-bent on destruction and death. Yet, when the shadowspawn launch an all-out assault, Jarrett is thrust into a battle of cataclysmic proportions. When darkness spreads and the death toll mounts, even the Shadowguard’s courage and skill may not stand against their evil. Will Jarrett survive the onslaught, or will the rising tide of darkness destroy his world? What Happened to War of the Witch? So what happened to the books? This is a shout out to all the fabulous readers who helped put War of the Witch in Amazon’s Top 100 Epic Fantasy and Teens and Adventures back in 2011 and to the Goodreads readers who continue to add the book to their To Be Read Lists even though it’s no longer available. Thank you! You are amazing! After a long discussion with Slade and a few other readers, we decided to take the books down in 2012. I’m going be honest. We published them too fast (and without any knowledge of publishing or marketing). Although we received great reviews, readers were pointing out a few technicalities that needed to be addressed. Currently, we have the entire Legacies of Talimura series outlined and the first five books are in the late editing stages. As much as it kills me to sit on a book—or four, we are writing the first six books before the first one will be released. That way, we can release the books about every three months and keep the readers happy. Unfortunately, there are still bootleg copies of War of the Witch circulating the web, but what we released in 2011 is but a shadow of what they are now. The world of Talimura that Slade has built is phenomenal, inspired by many countless places and events throughout history . . . and of course, video games. What we released before . . . is honestly a little embarrassing. Since then, we’ve been developing the world, the characters, and creating detailed plotlines for the entire series. Adventure…and lots of it! The books we write are fast-paced and full of action and suspense because that’s how life should be lived. We are adrenaline junkies at heart who refuse to live the hum drum life working 9-5 at a job we despise. Life should be about adventure—whether it’s escaping to the fantasy world of books, simple everyday adventures, learning to pole dance, traveling to exotic places, ziplining across the tropical jungle, or getting down and dirty at extreme obstacle courses like Tough Mudder. Adventure is based more on your mindset than the things you do. My deepest apologizes for the wait…and the continued wait since we’re still looking at least 2020 before the first book is released. Until then, I have another series (my Battleborn series) that will be released this Fall, and shortly after we’ll be releasing several short Wyrmfire stories set in the world of Talimura, not to mention there will be plenty of giveaways! Thanks again to all the fabulous readers who continue to inspire us! Even though we released War of the Witch too soon, it took our writing to a whole new level, making us believe that becoming a fulltime author is not a pipe dream! Never let anyone tell you your dreams are out of reach! Keep striving for that goal! Nothing is impossible if you are willing to work for it! Escape to a fantasy world of magic and adventure, war and tragedy, because the greatest adventures come from within.